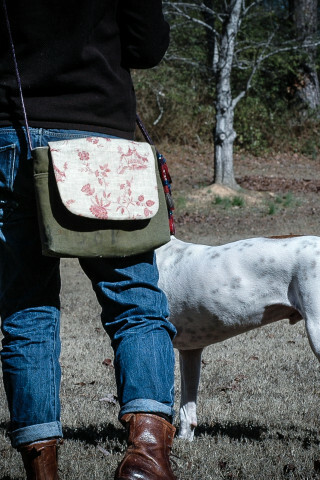 Becassine Bag is an across the shoulder bag with a wool and horse hair strap. 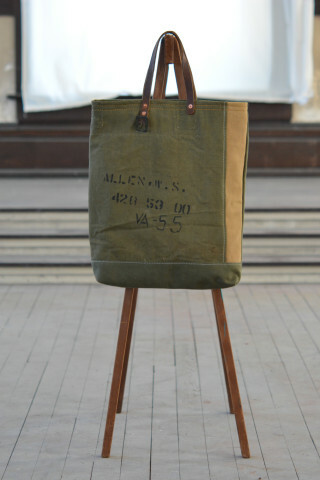 Outside Bag is made from Vietnam Era duffle bag. 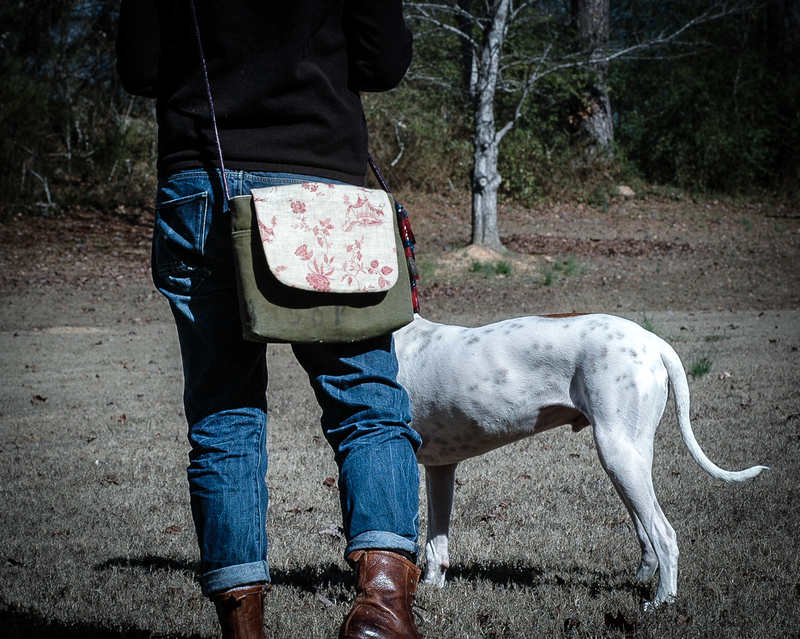 The flap is a piece of French Cotton printed Chinoiserie. 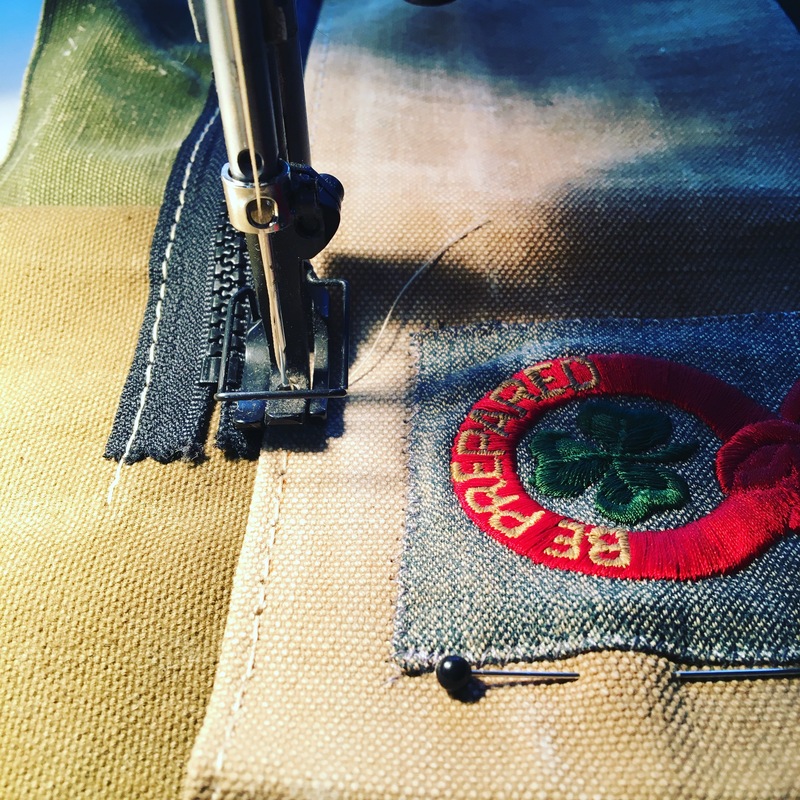 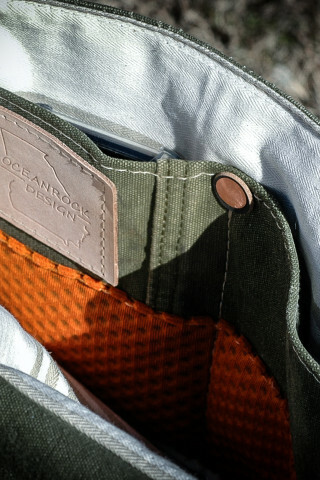 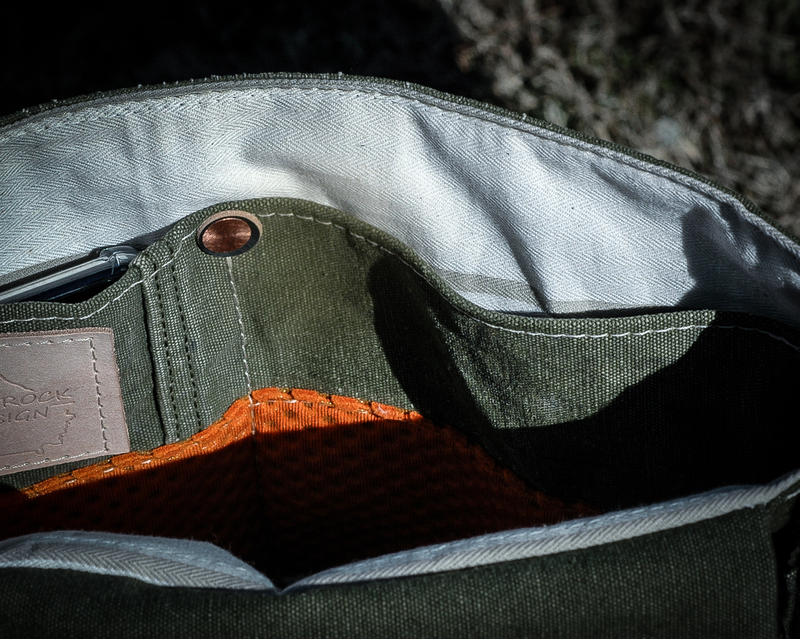 Copper rivets hold strap and detail on the inside pocket. 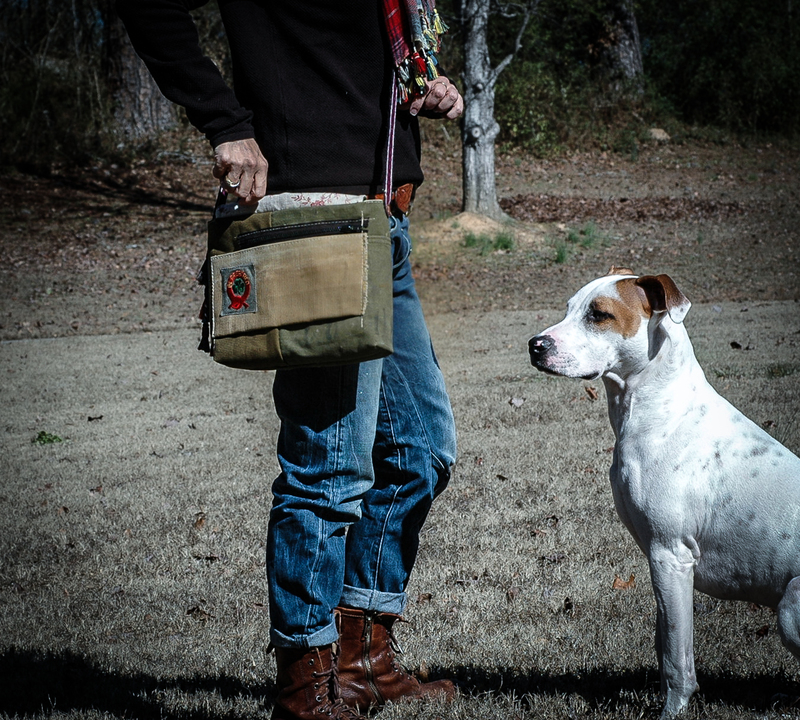 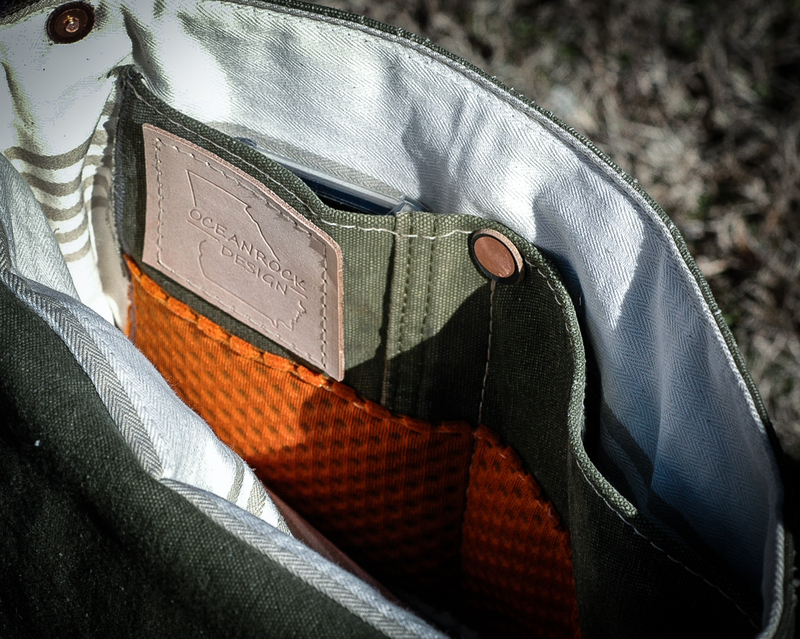 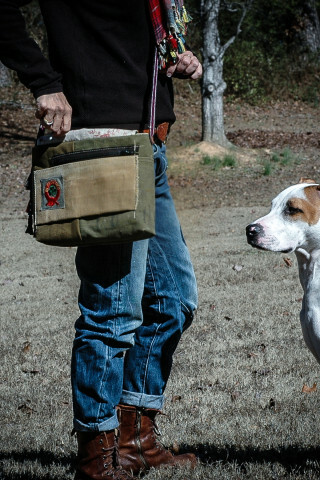 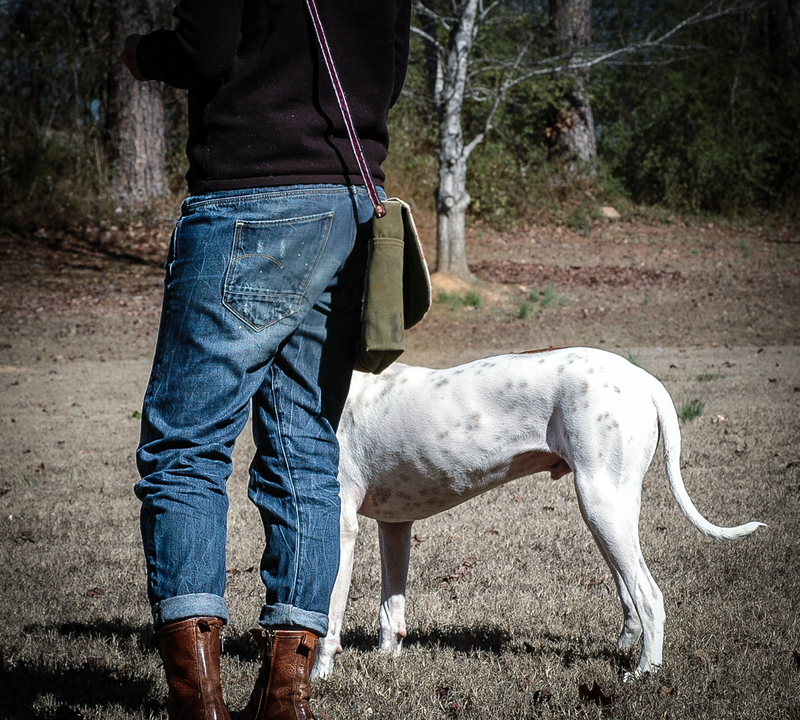 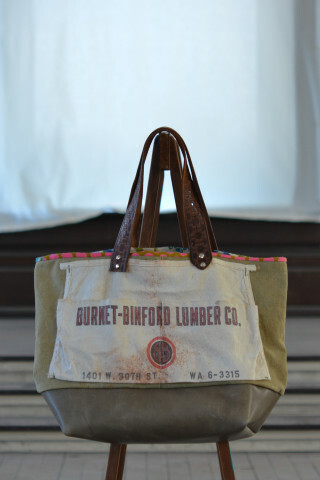 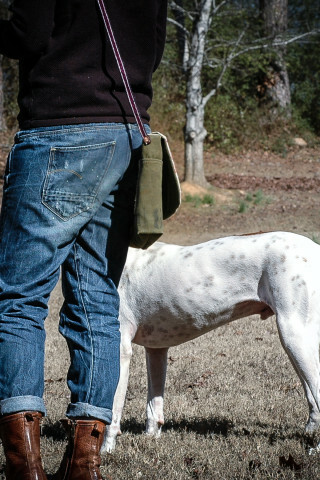 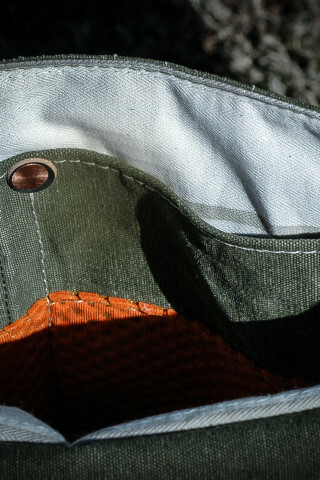 Inside pocket is made from a cotton yarn dye herringbone french fabric and small pieces of military canvas.